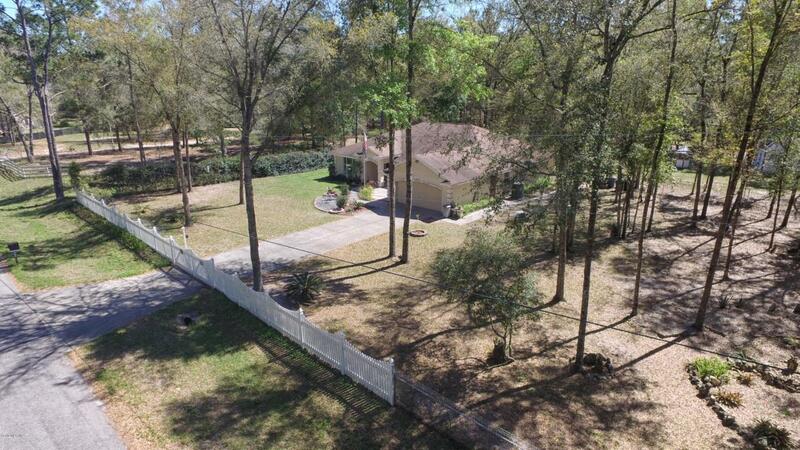 Located on just over 1 acre in NW Ocala, This residence is situated perfectly providing privacy yet still close to restaurants, shopping, I-75 and the World Equestrian Center. Split floor plan and large living areas perfect for entertaining. Office/Den that could also serve as a 4th bedroom. 10X15 Shed with power. Many new updates and improvements to the home including a new Trane A/C unit installed in June of 2017, New pressure switch on well in December of 2017. Water Softener with lifetime warranty installed in December of 2017. New 50 gallon water heater installed in December of 2018. Must see to appreciate. Call for appointment. Listing provided courtesy of Ashley Dibartolomeo of Royal Shell Real Estate.